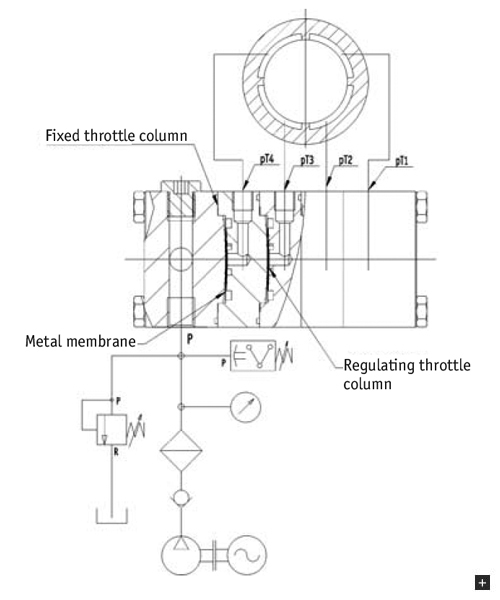 The figure shows a PM flow controller with "row design", partially "cut open". This controller is integrated into a hydraulic circuit diagram for a hydrostatic quill guide with 4 pockets. 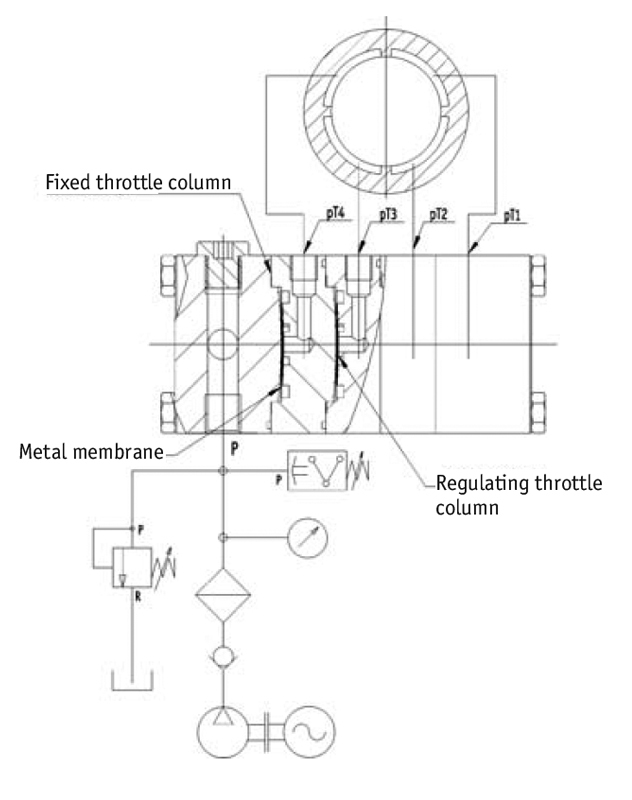 The PM flow controller consists of the pump pressure connection block shown, a different number of rotary take-up discs (the figure shows three rotary take-up discs). The advantage of this concept and the controller with row design is that all pocket pressures on a branch of the controller - hydrostatic pocket connection line near to the controller can be measured centrally and that the controller can be easily replaced, in the event of contamination, for example. The lines between the controller and hydrostatic pockets should be kept as short as possible.